Posted on January 12, 2018 at 9:00 am. Every homeowner has been plagued by plumbing problems of one kind or another at some point in their life. There is always some sort of plumbing situation, either minor or major that appears for one reason or another. That is why every homeowner now always equips themselves with a few basic tools to at least resolve the smaller plumbing problems themselves. And sure, if you are handy around the house, you can go about fixing the minor problems yourself, but there always comes a time where the troubleshooting job is just way out of your league and you have to call in a plumber in Cleveland, GA. Here are some of the common plumbing problems which homeowners tend to go about themselves which would bet better off done by professionals. Yes, plumbing maintenance. If there is one way to go about avoiding high cost repairs in your home, it is to properly maintain your home’s plumbing system and having a proper schedule for it. A lot of issues with your plumbing are not very apparent until they become significant, catching them while they fester and grow is a difficult task. There are always hidden leakages in your sinks and below the water heating systems, which are not too big an issue early on but turn into huge problems as time passes by. All of the water which leaks from these pesky little leaks can seep into the plaster work which has been done where the water becomes stagnant and that turns into mold and you can imagine how that goes. Keeping a check on the maintenance need on a routine basis is not something which requires you to call a plumber in Cleveland, GA. You can go about doing the routinely checks yourself to see what problems are developing if there are any and you can do that before they become a significant nuisance for you and your family. You make use of your sinks and your tubs on a regular basis, but you might not be able to notice any problems unless you actually go about looking for them. It is a good practice to examine every exposed pipe, which means the pipes under your sink and the ones behind your toilet’s tank. Check for any signs of corrosion and rusting, that is the most common thing which leads to damages in pipes over time and subsequent leakages. These problems occur most commonly on metallic pipes that are exposed to damp and humid conditions. Turn on the faucets and showers to check the pressure of the water flow. Some fluctuation in the water pressure is common but there should be a consistent flow if there are no problems. If you start noticing corrosion on exposed pipes and slower water flow, it might be time to call a plumber in Cleveland, GA to fix the problem. Apart from the routine inspection you should do yourself around the house, it is never a bad investment to call a plumber in Cleveland, GA to come in and further inspect the problems which you cannot point a finger on. Professional plumbers will check the water heating system, the exposed pipes and the water pressure in your faucets, showers, toilet tanks to see if there is indeed a problem on the outside or if it is something within the internal piping done in your home. It is of absolutely no use being in denial about that problem and waiting for it to get so bad that you have no other option left. Call in a plumber in Cleveland, GA to look at the problems without wasting time so that you can be spared of a lot of emotional and monetary loss later on. Even keeping a thorough check and maintaining your plumbing system might not help you avoid some of the problems which your plumbing system will have over time, especially if your house was made a long time ago. Here is a look at some of the most common jobs which require calling a plumber in Cleveland, GA. 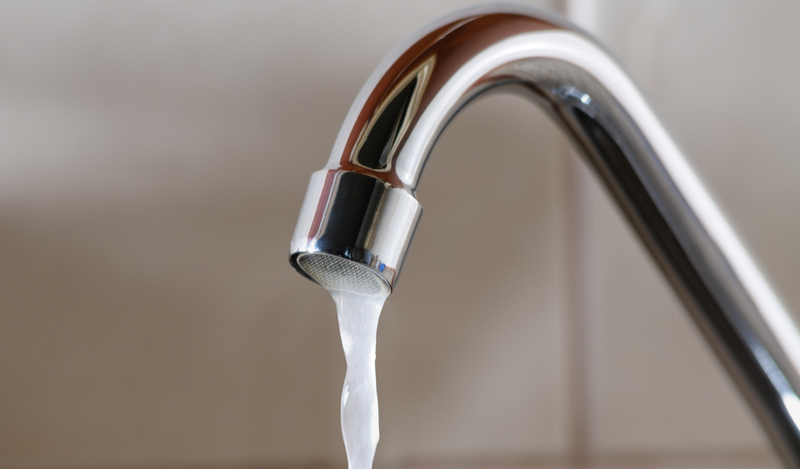 If you have ever tried falling asleep at night with a dripping faucet in the bathroom or you have had to deal with a leaking faucet in the kitchen after having done the dishes, you know how big of a problem it can be. A dripping faucet can lead to a loss of so much water if it is not looked after. See, the water entering your home is coming in at a high pressure as it goes through the piping system. That is why, when you turn off the taps and faucets, the rubber-based washers in your faucets form a water tight seal in order to prevent it from finding its way through the pipes and leaking out of the faucet. Over time, there will be a degradation of the seals or they can become displaced. That leads to the leaky faucets which cause that very annoying dripping of water that can waste hundreds of gallons per year if left unchecked. This leaking, once left to go on long enough can cause erosion in the faucets themselves and cause bigger problems which will require you to call a plumber in Cleveland, GA. There are often times you will see that even though you have opened the faucet to its fullest setting, the water which should be flowing like the river is barely even dripping. Many times, this could be a problem with the general supply of water in your neighborhood due to breakage in the water main. However, there is always the chance that this problem is being caused due to what is known as sedimentation. The water which you are getting in your house happens to carry plenty of dissolved minerals and over a period of time, those minerals find themselves collecting within the metal pipes. The depositing of minerals within the piping is something which takes a very long time to affect the water pressure but the problem is real. It is problems like these that make it a necessity for you to call Metro Plumbing, Heating & Air and fix them. It seems like it will be a big upfront cost but it will save you from a lot of torment down the line.